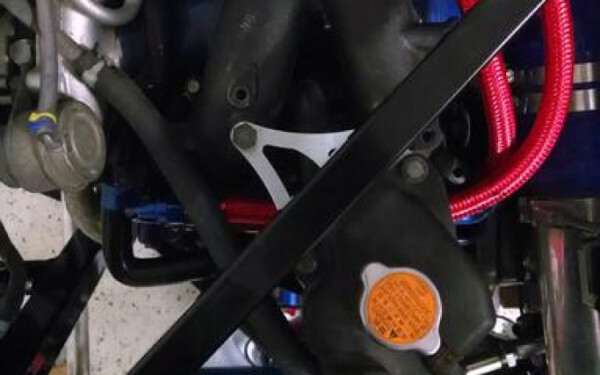 With the coolant tank bolted to the intake manifold in the factory location the fill cap is conveniently located right under a frame rail. With about 1/4″ of clearance, the cap can’t be removed without unbolting the tank. A bit annoying we think. The coolant relocation bracket moves the tank off to the right to completely clear the frame rail. As a bonus we also designed it so that the angle of the tank matches the angle of the frame rail for extra style points. 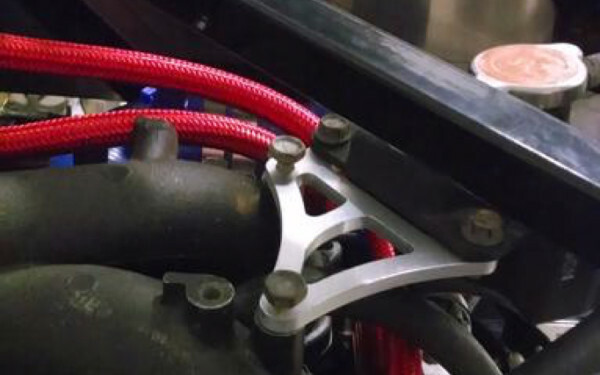 Includes all hardware (including replacements for the stock bolts that go into the manifold) and coolant hoses needed for installation. I’ve seen two different tanks, a metal one and a plastic one? No. However, we recommend cutting off the side mounting tab that is no longer used for aesthetic reasons. Revision one of this bracket had interference issues with this tab and the stock intake “after-MAF” tube. Revision two was designed to provide more clearance. I have a non-turbo motor, do I need this? No. The header tank is only on turbocharged cars. Its purpose is to allow water to circulate via convection currents after the engine has shut down to continuously cool the motor without the need for a turbo timer. As hot water rises from the turbo to the tank it draws cool water up from the lower inlet hose. 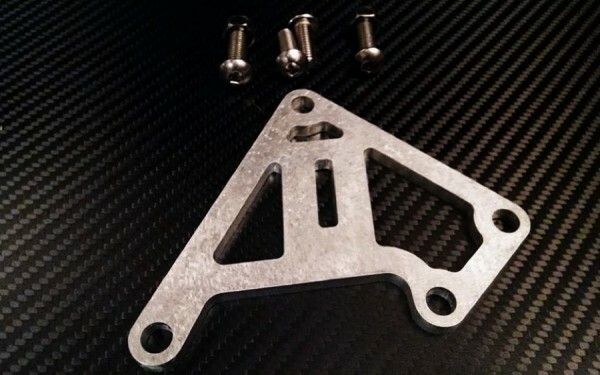 Some photos show the revision 1 bracket. Function is 95% the same. Revision 1 was more curved, revision two has sharper angles with a stylized zero integrated into the design.